What’s up everybody? 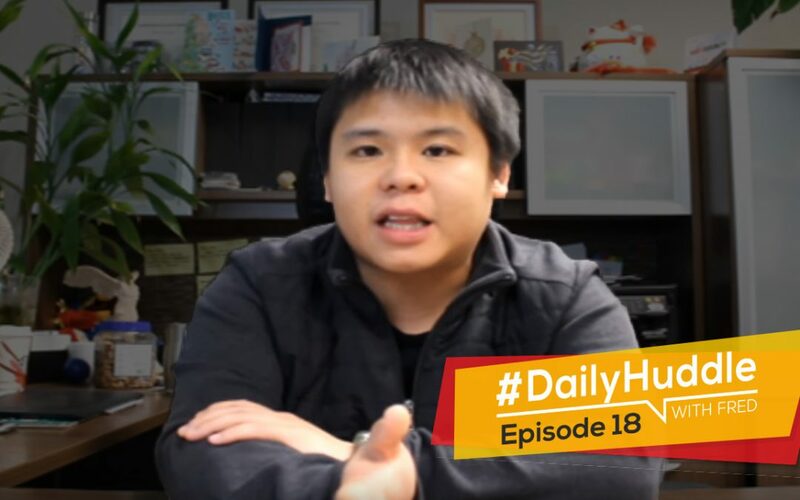 Fred Lam here and welcome to our daily huddle episode 18. First of all in today’s daily huddle, there’s one big question that came up which I want to address right away. It actually came out in our starting from zero community earlier today and I want to address this because this is very, very important. I know that it’s very lucrative for you to be advertising products that are trademarks for example Star Wars, Hello Kitty, Disney, Marvel and all those other brand and goods. Listen; if you have a product that is having those characters in your product, I would actually urge you to delete it off your store right away. And I’m only coming to this at a perspective of protecting you and wanting you to be absolutely safe. Let’s be honest at the end of the day, yes you can make a lot of money when you’re advertising a product that is basically what we call infringe or trademark like Star Wars, Spiderman, Ironman even anime like Dragon ball Z and all those other things. They can convert really, really well like superbly well but at the end of the day you are putting yourself in danger either on a court or a jail if you run a lot of sales with those trademark products. I’ve been getting a lot of people saying, “I have this product here” and sometimes I actually do a quick site review and see these kind of products in their store and it really baffles me because yes, you can actually make a lot of money and at the end of the day Aliexpress has some vendors that may have the license to sell but it doesn’t mean that you have the license to resell those products. By chance (knock on wood) you actually got a letter from those trademark companies; it is going to be a lot of headache. All the years of hard work that you actually put in will be gone right away. Seriously guys you are going to get into serious trouble if you are advertising either infringe or trademark products or you know that that product is a very well-known brand. If you are trying to sell it in your store, I really urge you to stop going to your account and delete it. I’m only saying this because I want to protect you and to give you heads up. I never teach people to sell trademark products and I’m totally against it. Again, like I said it is a lot of money on the table but at the end of the day you just don’t have the right to sell it and I would actually ask you stay away from those products. There are a lot of other products that you can sell in your store that can make you a lot of money. It doesn’t have to be trademark products. I really want to get this out clear to every single one of you and especially if you are watching right now in our daily huddle. I just want to be very upfront with you about this because I don’t want you to get into any legal trouble and I’m just trying to protect you guys. Moving on to our first question of the day. For those of you who had just join us recently in our daily huddle, I go live listen from Monday to Friday to answer five questions. It can be any questions. It can about your business or something that you’re stuck on. It can be your having a business plan that you want to get my input in. It can be anything. And if you want your question to be featured, you need to go to www.fredlam.com/ask and ask your question. I know today is Friday. Here’s what I’m going to do, I’m going to answer these questions as fast as possible but let’s face it even though it is Friday a lot of you guys think that “Oh, thank God it’s Friday, I can have my weekend” but again like I keep telling you guys as an entrepreneur there are no such thing as weekend. 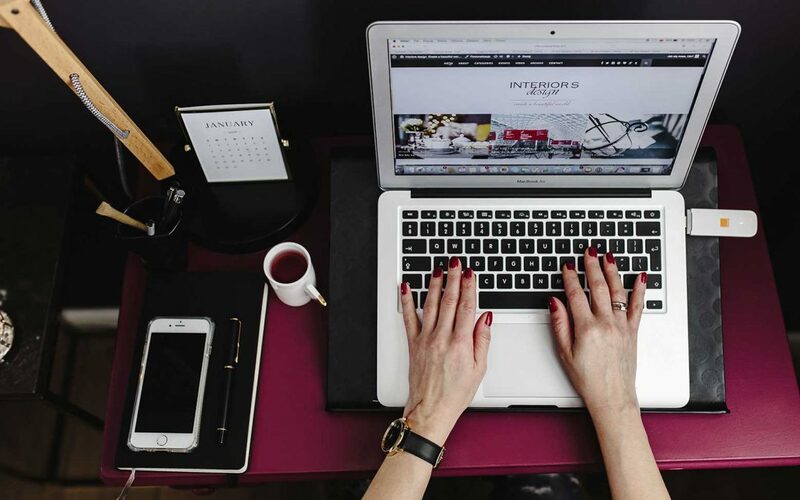 You have to work throughout the weekends because that’s actually the perfect time for you to stay ahead of your competitors and to stay ahead of all those other people who are in the rat race. [0:05:53] Question 1: The first question is, is $5 daily budget good for a website conversion ad? Are there any pros and cons to it especially when you're first starting out with the ad? I have two questions if you don’t mind. The first question is, is $5 daily budget good for a website conversion ad? Are there any pros and cons to it especially when you’re first starting out with the ad? Here’s the deal, there’s no really pros and cons. The thing that you need to understand is that you’re basically buying data to see if your ad is going to convert or not. And going after $5 a day will actually reduce your investment on figuring out if that product has potential or if that product can be shoved aside. As a matter of fact sometimes I do suggest if you have a budget allocated for advertising and if you want fast data and results, you want to start with $20 because the more budget that you put in per day, the more data Facebook will actually give you because you’re running more ads then the faster and quicker you can make a decision if that product is going to sell or not. Again, $5 still work. I have people who have been spending $5 a day and they are getting a sale here and there. It absolutely works but at the end of the day if you want to accelerate the process you can actually go $20 or even $50. $50 is like for super advance, I don’t really suggest that. $20 is maybe the ideal number if you want to accelerate the growth and the process of finding a product that’s going to work for you or not. 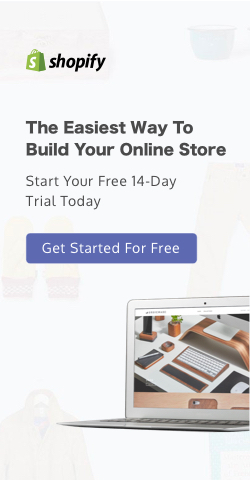 Moving on to your second question, is it better to use a one-day or seven-day conversion window for website conversion ads? Which one do you use? Very great question. That’s more for advanced people. I normally go after one-day conversion window. The reason why is that because if I pull out an attribution report in my Facebook ad account, 95 % of my sales actually came in within the first 24 hours and I want to only factor in the 24-hour data because if I factor in the 7-day data that means that you need the entire seven days in order for you to figure out if your ads are going to work or not. So for me, I always go of one day click in terms of conversion window so I can see right away the date that they clicked and if they are going to buy right away because like I said before majority of the people who actually buy online usually it’s going to be one day. If it’s for retargeting or dynamic retargeting ads then I would run it for seven days. If it’s a product that’s is going to be above $50 then I would run it for seven days because people may need longer time to make a decision but majority of the time when you’re trying to sell a lower cost product I would typically just go after one day conversion window. I hope that helps you out. [0:09:00] Question 2: Is it possible to scale your Amazon business while working full-time or should I just quit and pursue Amazon full-time? Hey Fred two things. 1. Were you in downtown San Diego last weekend? Haha I thought I saw you but I was with my girlfriend and she was scared to say hi. Fred: Do I look like I’m going to eat someone? Put in a NO into the comment box if this face looks like I will eat someone. I’m super friendly. If you guys see me on the street just come up and say hi to me and I will say hi back to you so, don’t be scared I’m just a regular guy. I’m not some kind of person who’s all the way at the top and don’t talk to anyone. If you guys see me on the streets or on the road feel free to come up and say hi to me, I would love to talk to you in person. Yes, I was in San Diego to answer your question. I think probably the person that you saw is me. It’s very hard to have this face mistaken. 2. 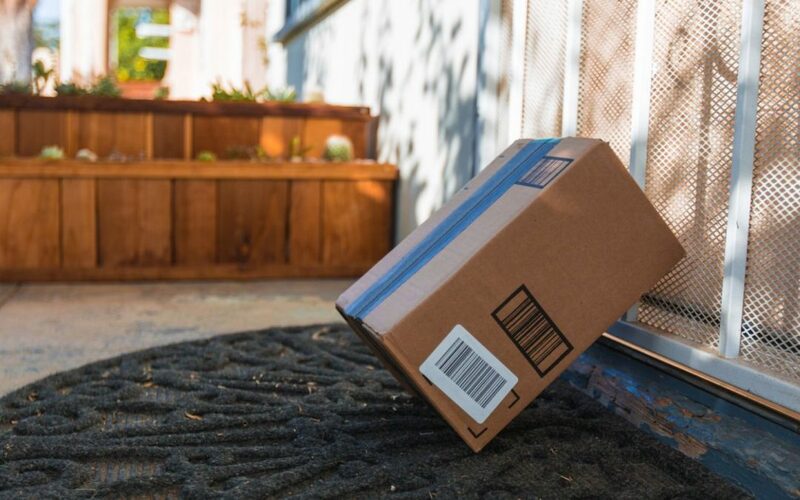 FBA (Fulfillment by Amazon) related: I just got started selling on Amazon but I also work a full-time job in marketing where I work with Facebook ads and analytics. The stuff I’m learning at work is definitely helping but it also takes up a huge chunk of time. Is it possible to scale your Amazon business while working full-time or should I just quit and pursue Amazon full-time? David with your last name I’m pretty sure you are an Asian. I just feel that. I don’t know if I am correct or incorrect. For me here’s my take to it, being born in an Asian family and talking about like job security and all those other stuff, I would encourage you to do the following and it also depends on how much cash is in your piggy bank because this will make a difference. Let’s say that you already have products on Amazon that are actually showing performance and generating you profit and you have some decent amount of cash in your piggy bank that will let you survive for three months. If you have those then I would actually ask you to focus fully on your Amazon business. That’s what I would suggest you to do. Burn the boat and just basically go on with your business. The second option is you can simply ask your manager for a month time off at work. Make an excuse to your boss or manager and try to get one month off and dedicate that next 30 days into the Amazon business. If you are basically born in a family that tells you, “You have a job security” and if you have been living paychecks to paychecks then I would actually suggest you to work harder and hustle harder. By the time that you get off work, go home, get a meal, quick bite and start working on your business for six hours in total then go to sleep for eight hours, wake up, go back to work and repeat that cycle again. On the weekend, when your buddy or your girlfriend asks you to go out for a drink say NO. Now, here’s the tricky part though. We’re talking about relationships now; I can see you email address so I can see how young you are. Your age which is kind of still in the teenager age or the young adulthood and you have a girlfriend; you have to make an agreement with her that I need this ME time to focus on my business so we can have a better lifestyle. You want to be flat out and upfront with her about this. If you all of a sudden did not have this conversation with her and start just focusing on your business and not even spending your weekend time with her she would think that you already like another girl or she may just lost interest in you and you guys may just break up. Some feedback for you, handle your relationship correctly if you are taking that route because you are basically going to focus on your career. I hope that would help you out. Question 3: If my CPM is around $20 but my CTR is above 1.5% in the first day, should I let it run for longer or kill it? THANK YOU SO MUCH! I APPRECIATE IT. If my CPM is around $20 but my CTR is above 1.5% in the first day, should I let it run for longer or kill it? THANK YOU SO MUCH! I APPRECIATE IT. So if your Cost per Click is hovering at a $1.33 and your CTR is above 1.5% with a $20 CPM I would actually let it run for another day or two to see if you’re going to get a sale or any add to carts. You want to actually take a look at that. If you’re not getting any add to cart or even a sale then you can kill the ad in three days. That’s what I would suggest you to do. Some people are like how I came up with that calculation. It’s just Math. What I’ve done was basically I assumed that Khan has 1,000 impressions. For 1,000 impressions it’s going to cost $20 and if he has 1.5% CTR so I multiplied by .015 that means that he’s going to get 15 clicks. If he got charged $20 CPM, I took 20/15 and that means that his cost per click is around $1.33. That’s how I got the Math to find out what his Cost per click is going to be. Again, I would actually run it for another day or two to see if you’re going to get any sales. If you’re not getting any sales, you want to take a look if you’re getting any add to carts if you’re not kill it. [0:17:40] Question 4: I have seen a lot of Facebook pages as well as Instagram accounts that they actually grab images and videos of other people and post them to their own account and they just give them credit (for example: video/image credit to @ABC). - Is that legal? Hey, Hope you are doing great Fred. I watch your daily huddle regularly and also follow your other videos too. You are a beast, motivator and i don’t know how to express but you are full package for us. I really appreciate your efforts which you are doing for us. 1) I have seen a lot of Facebook pages as well as Instagram accounts that they actually grab images and videos of other peoples and post them to their own account and they just give them credit (for example : video/image credit to @ABC). Fred: If you are actually just sharing that video or image and having as a credit and there are no ties to business which is you selling a product then it is legal. If you are using that even though you give a credit but you’re using it for commercial use you may get yourself into legal trouble. You want to talk to an attorney about this but this is based on what I know. It’s kind of like the same thing as if you go to Google, grab their image and you give them a credit but it is actually marked as “Not for Commercial Use” then you are technically going to be screwed. I’m just being flat out and honest with you. – Do we need to ask permission from the original content creator? 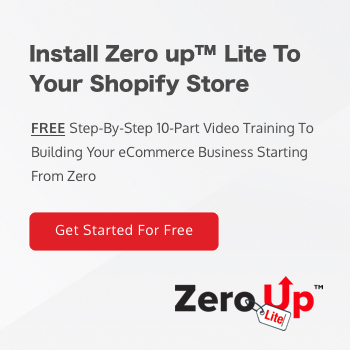 – Can we do this thing for our Shopify eCommerce start up ? Again, I would suggest you contact the original owner to see if they are okay to feature and give them all the credit, if they say yes then you’re going to be fine. You want to basically be more proactive than reactive because by the time that the person or the sites send you a legal letter then it’s going to be too late. You don’t want to fight that battle especially when you’re just starting out. 2) Other thing is that can you tell us strategy for newbies to get likes and followers for Facebook and Instagram ? Here’s the deal, what’s the point on getting Facebook followers and Instagram followers? Except for making the number looks pretty like me I love it when you guys follow me on Facebook, subscribe to my YouTube channel because I just love the number to grow. But does the number translate into profit for you? That is the most important key. If you actually say you want to get more Facebook following just for the sake of having more Facebook following then why don’t you just advertise on Facebook to get more likes for your page? You can do that for Instagram too. Run giveaways and get people to like you on both Instagram and Facebook and give something away. You can do that. But the qualities of these followers are not going to be as great to monetize down the road. So technically while you’re trying to spend time on figuring out how you can get more followers why don’t you spend time on figuring out how you can master Facebook ads, Google ads or Bing ads and turn them into profit because those are important things. And by the time you have mastered those ads and you can turn ads into profit that’s when you can say alright now I got good money I can actually play around and get more following because for the sake of wanting more following. That’s what you can do and that’s what I would suggest you to do. [0:23:49] Question 5: What does it mean by: "You've set a daily budget that is significantly greater than the average on this account ($10.95). If this was intentional, please ignore this warning". Moving on to the last question of the day and this week by John Manaloto. I reviewed and recently boosted, What does it mean by: “You’ve set a daily budget that is significantly greater than the average on this account ($10.95). If this was intentional, please ignore this warning”. – Thanks Fred! Basically what you’re telling me is that you maybe advertising $5 a day and all of a sudden you increased the budget to $10.95 and Facebook gave you a warning saying that you’re setting a daily budget that is significantly greater than your average. You can ignore that. You don’t have to worry about this. At the end of the day, you can simply ignore it and just increase the budget from there. So, that’s really it for our daily huddle today. I hope that you guys enjoyed the questions that I have answered. Again, I do apologize that I did bring in some pretty bad news right out the gate for those of you who are selling trademark products or have some kind of trademark products in your store and I asked you guys to remove them. I’m only doing this to protect you and I’m hoping that you don’t get into any trouble. For those of you who have not saved your seat for the rich dad summit which you’re going to get 16 hours of training from entrepreneurs, investors, tax lawyers, accountants everything that you could possibly imagine and these are the industry titans straight from Mr. Robert Kiyosaki and his team. If you haven’t secure your seat for $1, there’s a link above this video on Facebook and a link in the video description on YouTube that’s tiny.ie/richdad Make sure you grab your seat. Listen, it’s only $1. If you go to the bar tonight to have a beer or a red wine it’s going to cost you like $7 and that is like seven seats. If you guys are here right now watching and you have not secured your seats yet, seriously click that link just spend this $1. It’s going to be the best $1 you are going to actually pay today. Again, on Monday I have a huge announcement. I will email and tease you guys on what it is but at the end of the day you have to be here at 6PM Pacific, 9PM Eastern December 4. You have to be here live in order for you to know what it is and be the first to figure out what it is. Other than that, I know it’s weekend but still please spend some time on your business. Yes you still need some relaxation and maybe some meditation time or some time with your friends but please allocate some time in your business to gain knowledge, to go into forums, to go into my YouTube Channel look at the video training and implement the things that you are learning. I look forward on seeing you guys this Monday. Have a wonderful weekend. See you in our next episode of our daily huddle.